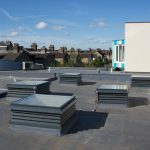 When a specialised school in North London began a program of upgrading works they had a requirement for a bespoke system of ventilated rooflights which would react to changes in temperature and CO2 while still maintaining a thermal barrier. 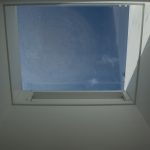 We were more than happy to provide our Classroom Ventilation Turrets to fill this need! 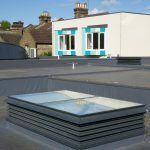 With low U double glazing, thermally broken uPVC dampers internally and A-rated Weather Louvres to the outside our Classroom Turrets provide controllable ventilation to interior spaces along with natural light. 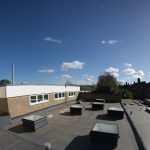 When coupled with our wall mounted control systems the Turrets can be set to open and close automatically in reaction to pre-set levels of CO2 and temperature within classrooms. 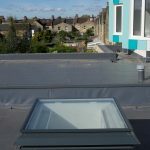 If required the units can also be equipped with internal motorised blinds to prevent glare or control solar gain during the summertime. With a variety of other control, finish and actuation options available the possibilities with this system are endless. Posted on April 13, 2017 by Chris.